INDIANAPOLIS -- Now that the Indiana House and Senate members have done their jobs, it's up to Gov. Eric Holcomb to sign (or not sign) more than 100 bills on his desk. 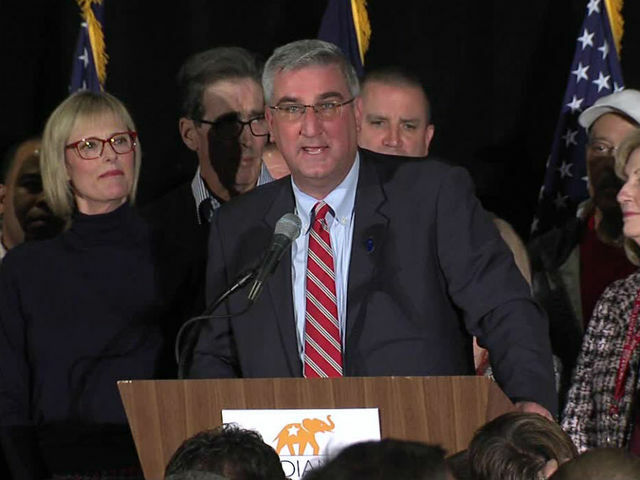 Holcomb has until May 5 for House bills and May 6 for Senate bills. Holcomb didn't comment on the solar power bill and the Ricker's bill, saying he's still reviewing them. With "no comment" from Indiana Governor Eric Holcomb (R) on SEA 309 which fundamentally changes net metering which is needed for customer-owned solar, small wind and other DG systems to be cost-effective; portends a negative impact for 1) energy choice and freedom for utility customers; and 2) small businesses who install solar and therefore, reducing the future for clean energy jobs in Indiana. IndianaDG urges you contact Governor Eric Holcomb as ask him to veto SB 309. Do it today! Thank you!